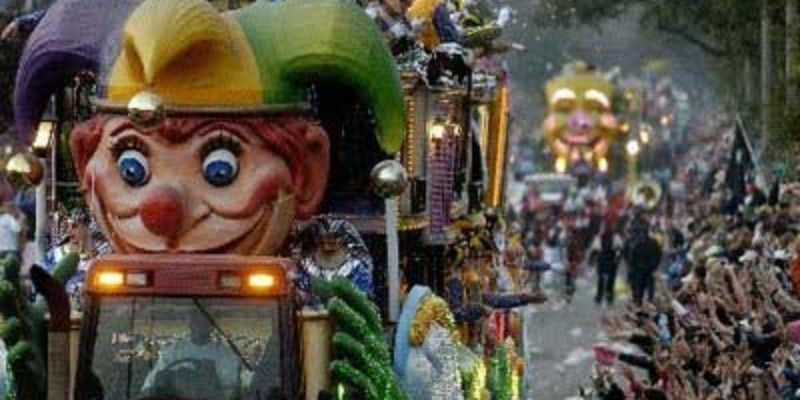 “No Mardi Gras parade participant shall knowingly throw any doubloon, trinket or other throw which would be redeemable for or entitle the bearer to a prize or a discount on the price of any food, beverage, merchandise, service or admission to any event or which displays, conveys or communicates any commercial, political or religious message,” it reads. 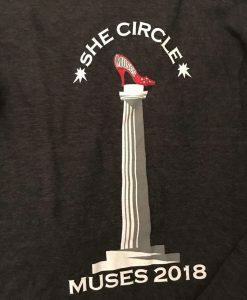 The all-female parade rolls through the city Thursday. “I’m telling the riders that I think that this is the time of year where we all celebrate each other and have fun together and we should not do anything political,” Borey said. Borey said has not faced any internal or external backlash for the announcement. Endymion President Dan Kelly said his krewe first learned about the Lee beads in the fall and sent out an email to float lieutenants suggesting they not toss them from the floats. “It’s a hot topic there was a lot of controversy about it when it happened, it’s over with now there’s no reason to bring it back up,” Kelly said. The fact that these three krewes are the first to attempt to quash the Lee beads is no coincidence. All three have their reasons for reacting this way, and none of them are good. One presumes that, under these circumstances, Muses would not care for its riders to distribute beads that tacitly condemn a stance taken by Cantrell. However, that’s not eschewing politics. That is politics. Secondly, nobody should be shocked that Orpheus, under the tutelage of Captain Sonny Borey, elected to instruct riders not to bring the Lee beads. Since 2014, Borey has been a part of the Landrieu Administration, serving as the Special Projects and Protocol Coordinator at the Mayor’s Office of Cultural Economy. He has a more direct incentive than Muses to ban the Lee beads — the removal of Confederate monuments was instigated by his boss. Finally, Endymion may be merely “suggesting” that riders not throw the Lee beads, but President Dan Kelly isn’t exactly free from hypocrisy in doing so. Kelly is the owner of Beads by the Dozen, which itself sells politically-oriented beads, including beads with medallions with the Republican elephant, Democratic donkey, Peace Sign, and even a teapot to signify the Tea Party. It’s a bit odd to sell controversial beads while simultaneously condemning them. In the end, if krewes want to play it safe or cater to their own interests, they should simply admit to that. They should not act as though picking sides by banning particular throws will make the controversy go away. It won’t. In fact, it only makes it worse. I have no confirmation on whether this photograph is legitimate or represents an official Muses t-shirt. However, if it is genuine, this reeks of hypocrisy. 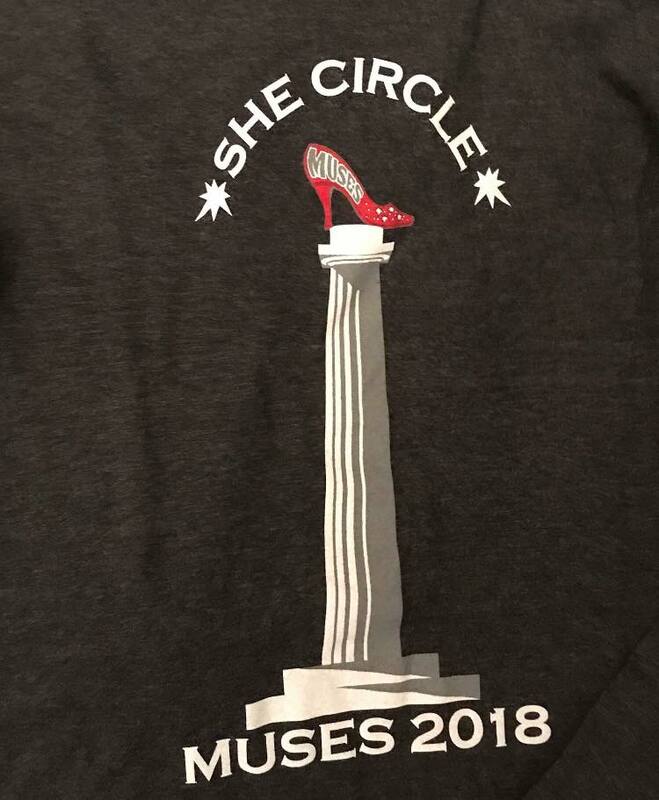 Muses can’t exactly claim to be avoiding the controversy surrounding Lee Circle if it approved of this.